While reaching for a diet soda or may seem like a healthier choice at the time, a new study is linking the artificially sweetened with greater risk of heart attack and stroke. The study, which involved data from 82,000 women ages 50-79, found that only 5.1 percent of participants were drinking two or more artificially sweetened beverages a day, but that group was determined to have a 23 percent higher risk of stroke in general, and a 29 percent higher likelihood of suffering from heart disease. That group was also found to be 16 percent more likely to die from any cause than other women involved in the study. The results were not replicated in men or younger women. The authors cautioned that the study, which was published in the American Heart Association’s journal, Stroke, shows an association rather than a cause-and-effect situation. “We don’t know specifically what types of artificially sweetened beverages they were consuming, so we don’t know which artificial sweeteners may be harmful and which may be harmless,” Mossovar-Rahmani said. 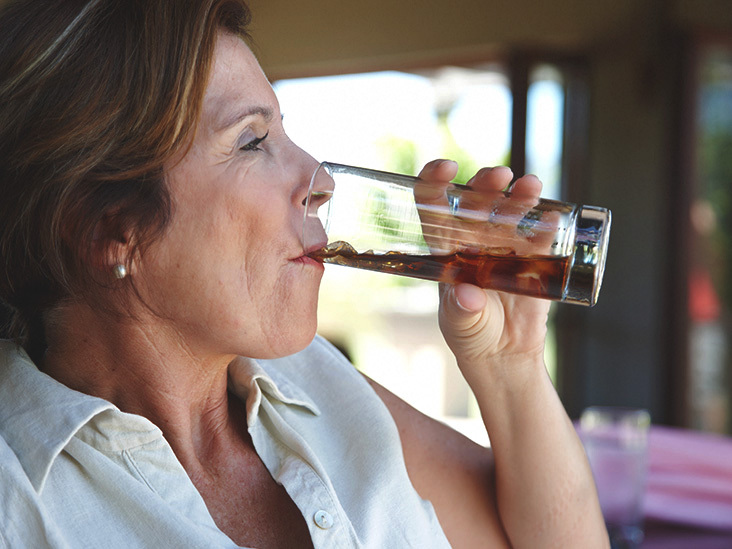 Previous studies have linked artificially sweetened beverages to higher risk of dementia. In 2012, the AHA and the American Diabetes Association cautioned that while artificial sweeteners can help lower sugar intake “when used judiciously,” more research was needed on non-nutritive sweeteners and cardiovascular risk. Still, researchers involved with studies linking diet soda to adverse health effects don’t advise switching to regular soda either. In an AHA science advisory published in July, experts cautioned against regular and long-term consumption of diet beverages, especially in children, and urged people to replace sugary and diet drinks with plain, carbonated or unsweetened flavored water.